Kale gives this chicken salad an extra vitamin oomph. 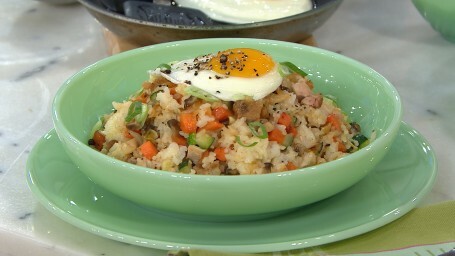 Any kind of veggies or meat you have in the fridge will work for this delicious dish! Where's the beef? That's a question you won't be asking after you try these zesty, crispy Korean fried chicken burgers. 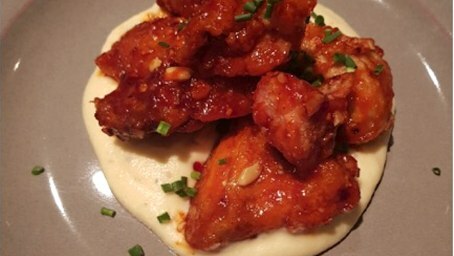 Korean fried chicken has been gaining popularity worldwide in its many forms. Now you can enjoy it right at home! 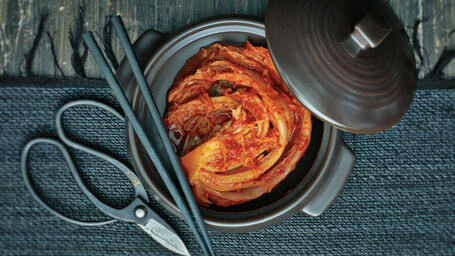 Make spicy, briny and savory kimchi at home. 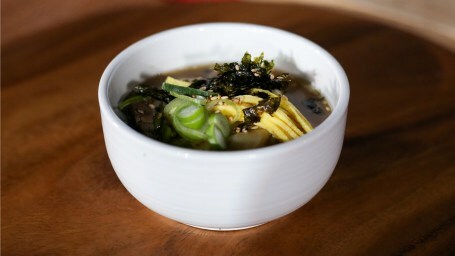 You'll want to put this delicious Korean condiment on everything! 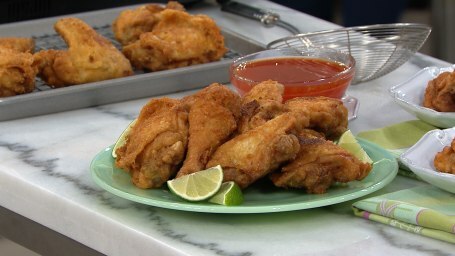 Take fried chicken to the next level with irresistible sweet and spicy Korean flavors. 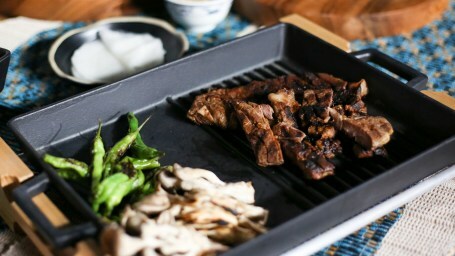 Unlike American pitmaster-style barbecue — where smoke is applied in concert with indirect heat — Korean style ribs are all about the marinade. 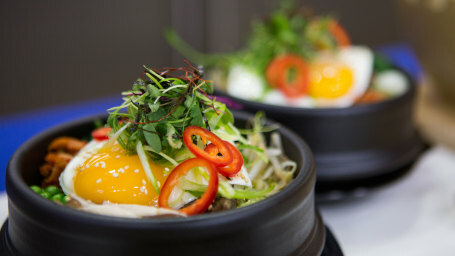 This comforting bibimbap is filled with fresh vegetables, marinated beef and three kinds of fluffy rice. 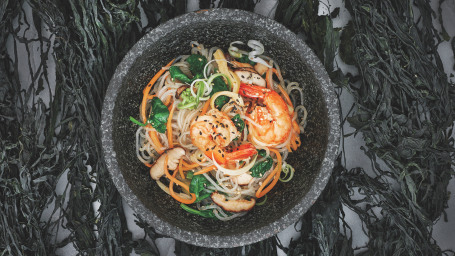 Change up dinner with a stir-fry featuring tender sweet potato noodles and a sweet and savory sauce. 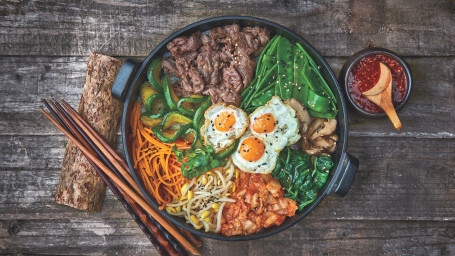 Skip the wait for takeout and make Korean rice bowls filled with tender beef and fresh veggies at home with this classic bibimbap recipe. 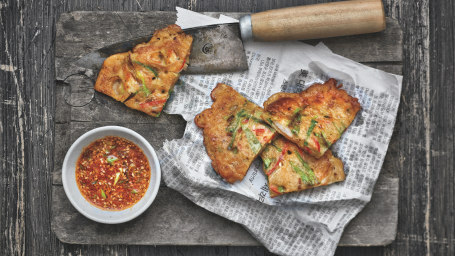 Bring the fresh, spicy flavors of Korean cuisine to your dinner table with seafood-filled pancakes with a savory dipping sauce. 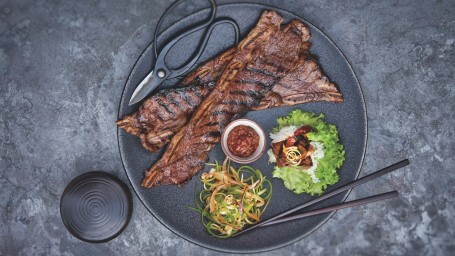 Serve Korean-style lettuce wraps with short ribs, rice, scallion salad and hot sauce that guests can assemble themselves. 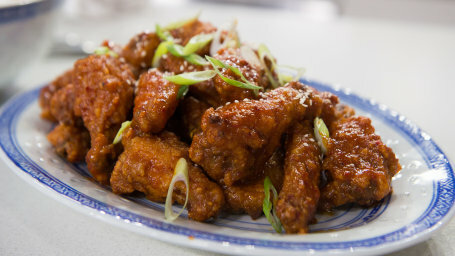 Give buffalo chicken wings an Korean twist with tangy and spicy flavors. 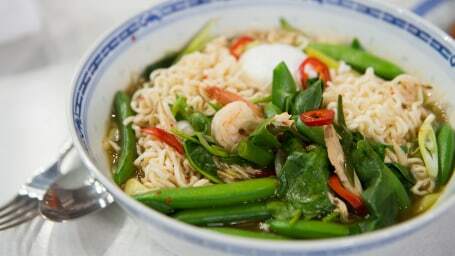 Give packaged ramen noodles a fresh and healthy twist with Korean flavors and ingredients. 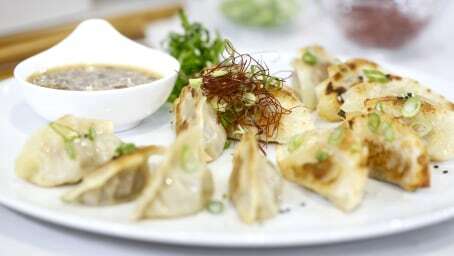 Fry the dumplings up to get juicy pockets with crispy skin or steam them for a healthier alternative. 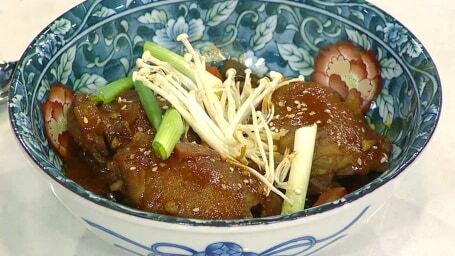 This stew includes gochujang and honey powder into the broth for an addictively spicy-sweet result—it's both high in flavor and healthy. 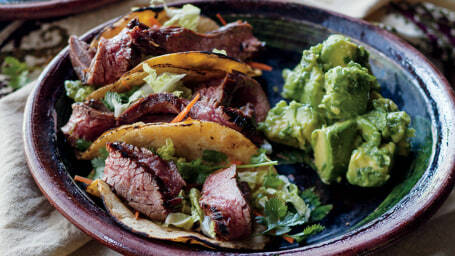 You'll want to use the marinade from these Korean steak tacos on everything! Lindsay Price merges her California roots and Korean heritage to make these mouthwatering fusion tacos.